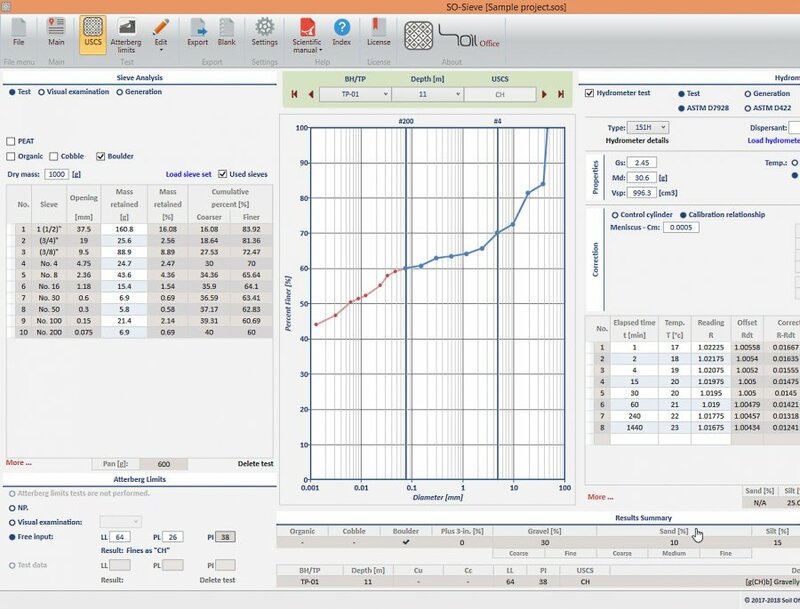 SO-Sieve having a user-friendly interface, includes sieve analysis, hydrometer and Atterberg limits tests. It also presents soil type based on USCS (Unified Soil Classification System). Sieve analysis and Atterberg limits may either be determined by test results or visual examination. Hydrometer test can be calculated using both ASTMD7928 and ASTMD422 (withdrawn 2016) standards. 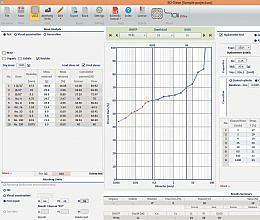 Note that sieve analysis and hydrometer tests could randomly be generated based on user-defined criteria. Software outputs are exported in both landscape and portrait formats. Visual examination may be used for the determination of particle-size distribution. Random generation of sample sieve analysis tests based on user-defined criteria. Various sieve sets may be defined and used when needed. Test data can be edited using either graph or input table. Random generation of sample hydrometer tests based on user-defined criteria. Visual examination may be used for the determination of soil type according to plasticity chart. User is warned when ASTM?D4318 regulations are not satisfied. * SO-Sieve download link provides demo version of the software. No one has rated SO-Sieve yet. Be the first to rate this product.